AUCKLAND, New Zealand – Ramon Tribulietx has made the easiest selection decision of his Navy Blues coaching career by naming one of his most experienced squads for next month's FIFA Club World Cup in the UAE. "I believe the squad we are taking has a good mixture of experience, youth, talent and physicality. "We have a lot of options within this squad we can tailor towards whatever is needed in the game and that is a very good asset to have. "We have good alternatives on the bench regardless of the situation we could face so we can make adjustments the way we need to," Tribulietx said. The squad includes club top goalscorer Emiliano Tade who is set to claim the all-time player participation record at a FIFA Club World Cup with this campaign his seventh in a row. Tade currently shares the participation record with assistant coach Ivan Vicelich and former Navy Blues attacking midfielder Daniel Koprivcic. Five players with All Whites caps make the cut including strikers Kris Bright and Ryan De Vries, midfielders Te Atawhai Hudson-Wihongi and Cam Howieson and defender Liam Graham. Solomon Islands international Micah Lea'alafa is expected to join the squad en route to the UAE. Veterans Mario Bilen, Daewook Kim, Albert Riera, Marko Dordevic, Angel Berlanga, Takuya Iwata, Fabrizio Tavano and Darren White give the squad plenty of big match experience as does stand-out goalkeeper Enaut Zubikarai. Alfie Rogers, brothers Danyon and Reid Drake alongside Harry Edge were all part of the Navy Blues last venture onto the world stage and the Nike Lunar New Year Cup in Hong Kong last January. Only four of the squad have never previously experienced a FIFA Club World Cup with new signings Bright, Graham, Callum McCowatt and goalkeeper Conor Tracey all newcomers to the competition. Defender Harshae Raniga misses the cut while Dalton Wilkins and Owen Parker-Price are not considered due to injury. The Navy Blues have penciled in two friendly matches scheduled for Wednesday 29 November and Friday 1 December with as yet to be determined opposition. Tribulietx, who re-signed as Navy Blues coach in the off-season, said the two friendlies were perfect for recalibrating the sights on a new Club World Cup journey. “I expect our opponents in the friendly matches to possess very good players and be of a similar playing style to Al Jazira, so it is a good opportunity to familiarise ourselves with the way the game is played in the Middle East. "Matches like these push our performances to the next level so its a good opportunity for the team to re-experience what it means to play against sides of this calibre," he said. 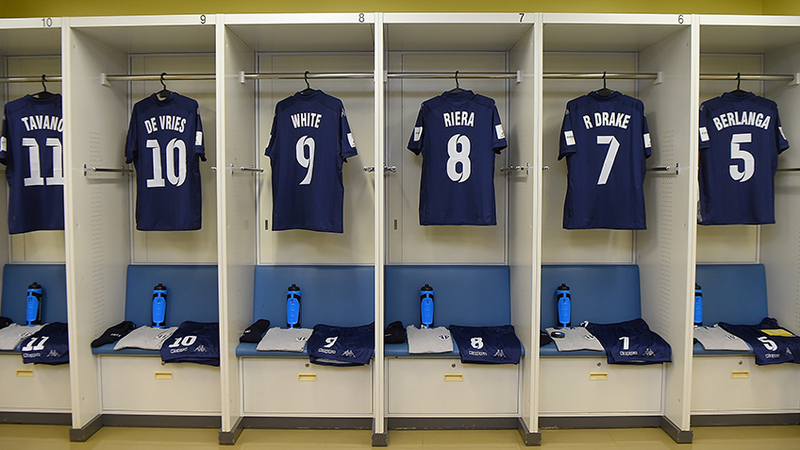 Auckland City FC departs for the FIFA Club World Cup on Monday 27 November at 9.15pm NZST. Auckland City FC assemble at the airport at 6.15pm on Monday 27 November 2017. They depart on Flight EK 449 at 9.15pm. Media Opportunities at Auckland International Airport are available by advance request only. Media requests during the FIFA Club World Cup UAE 2017 can be directed to Team Media Manager Gordon Watson at the details below.